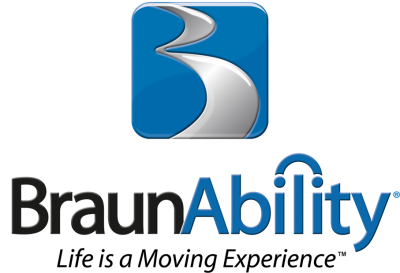 ABA Stock # 7228. 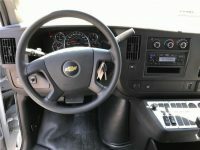 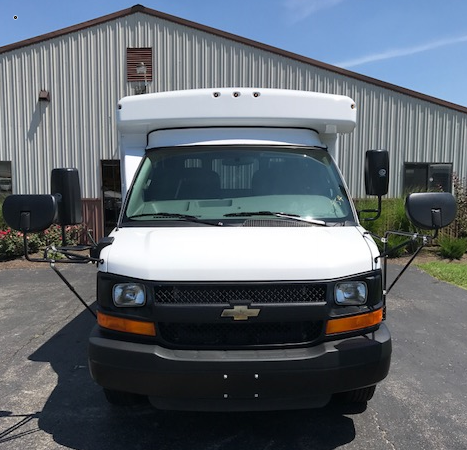 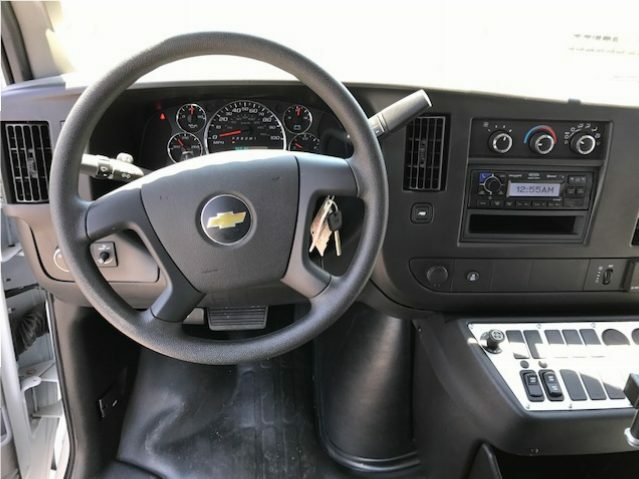 2016 Chevrolet/Collins MFSAB commercial bus with a Single Rear Wheel (SRW) 9,900 # chassis and 4.8 Liter gasoline engine. 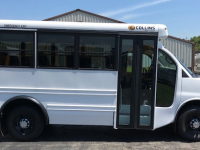 This is a new chassis with a 2017 Collins Bus Body. 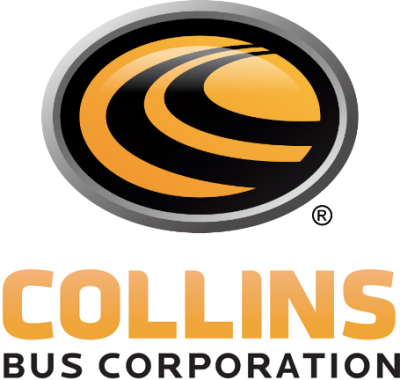 *Enhanced Collins/MFSAB transition window reduces blind-spots and provides the industry’s best view of loading and unloading zones. 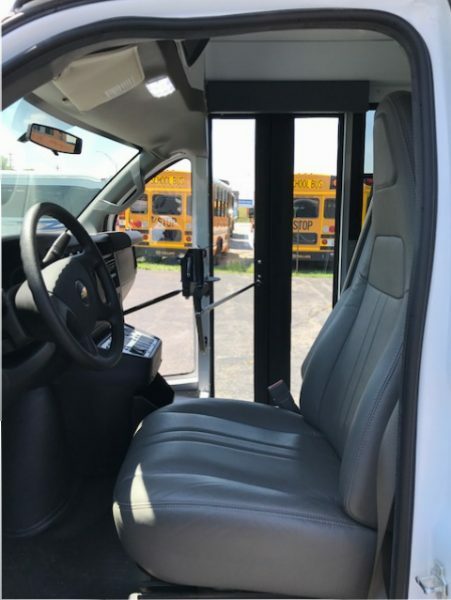 *The new easy-to-access integrated power switching and circuit protection on the Activity Bus gives expansion capabilities for adding secondary features such as camera systems, GPS devices, and more. 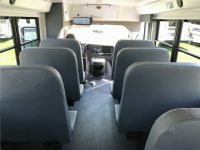 Allowing for safer Child Care Buses. 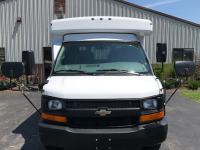 *With up to 7.2 cubic feet of storage (model dependent) and capable of holding 120 pounds, the compartment offers flexible storage options for batteries, jumper cables, and other important safety equipment for MFSAB’s. *Collins’ Industry-leading IMMI/SafeGuard XChange Seating offers a platform that is changeable and up-gradable for individual seat swaps or total reconfiguration. 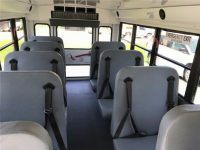 Optional Freedman activity seats in various configurations also available for all MFSAB’s. 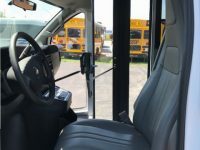 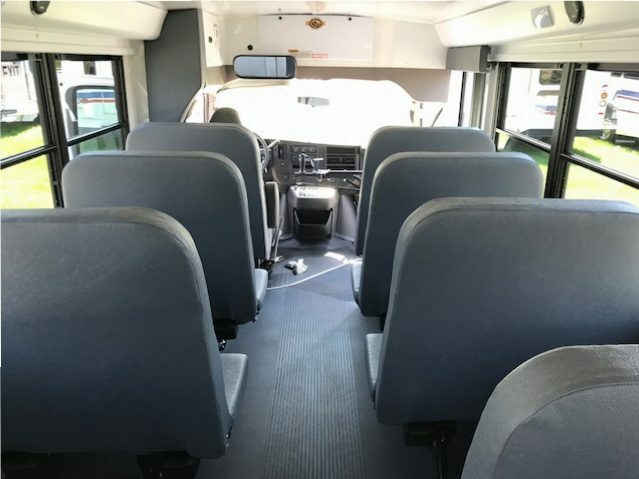 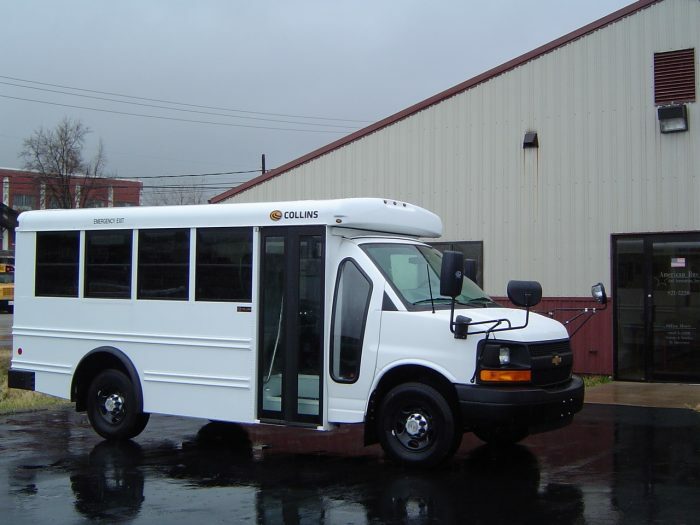 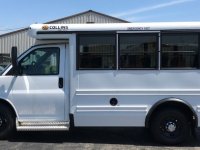 *Collins’ MFSAB Child Care Bus’s one-piece high-strength, low-alloy, tube steel roof bows, and full-length, interlocking longitudinal cage stringers provide the ultimate in structural strength.